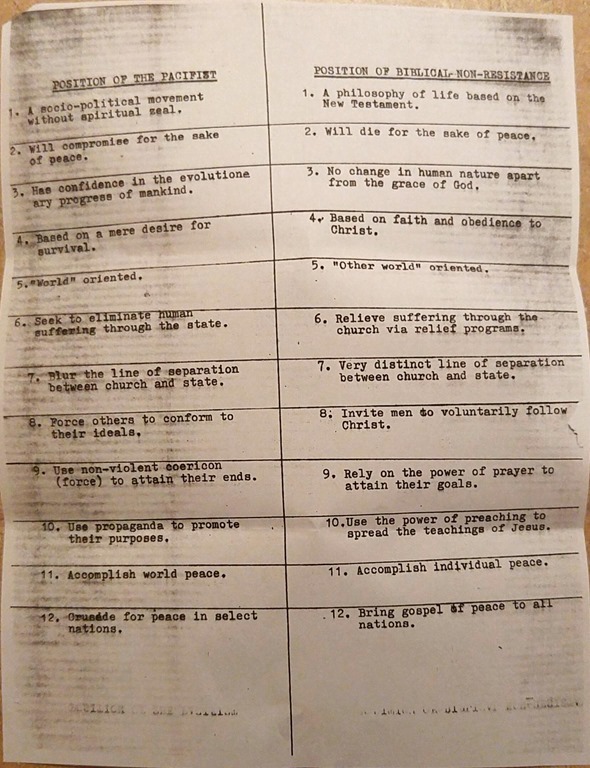 Anabaptists, and especially conservative Anabaptists, tend to delineate carefully between the words “pacifism” and the more specific “nonresistance” which is squarely based on the cross of Jesus. Below is one conservative Anabaptist’s comparison of the differences between the two. You may also have interest in the book I’ve compiled, “Nonresistance versus Just War: Should Christians Fight?” which is a discussion between Peter Kreeft and Anabaptists David Bercot and Dean Taylor.